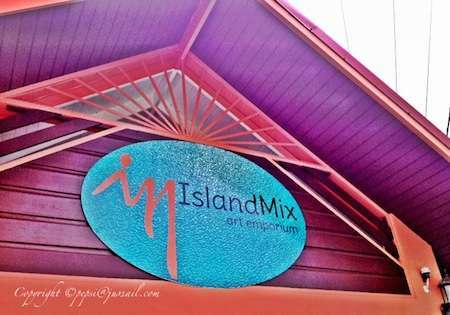 Jus’Sail was happy to discover this long awaited store has opened in Rodney Bay, The Island Mix Art Emporium! 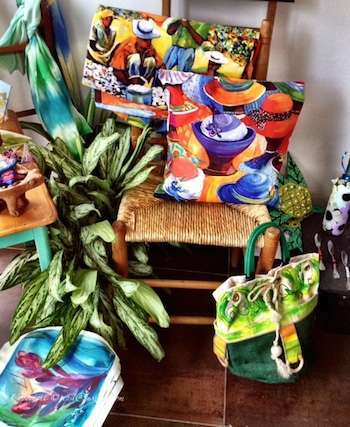 This gem of a store offers art not only from St Lucia but all over the Caribbean region. 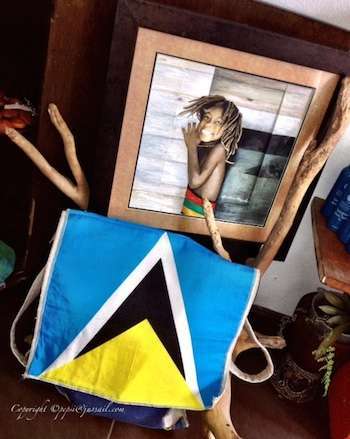 For instance there is painter Shay Cozier-Clivio who is a Grenadian born St Lucian who grew up in East Africia and later lived in Jamaica before returning to St Lucia her home island. 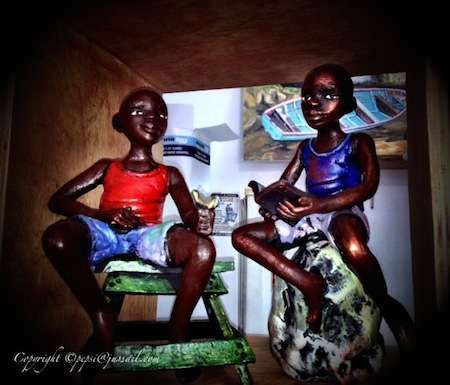 Robert Campbell from Jamacia who works with clay creating delightful sulpture pieces, Painter Ann Devaux who is from Ireland and has adopted the island of St Lucia, Vanita Comissiony from Barbados who creates wearable art and accessories. 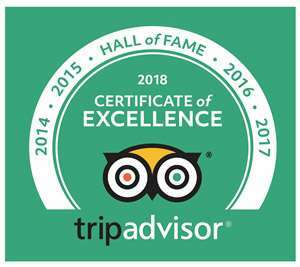 You have over 50 other artists to discover when you pay a visit. 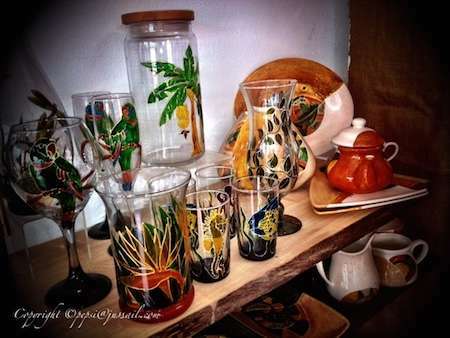 Owner Nadia Jabour is passionate about art and craft, the creative artists that make art and the Caribbean. 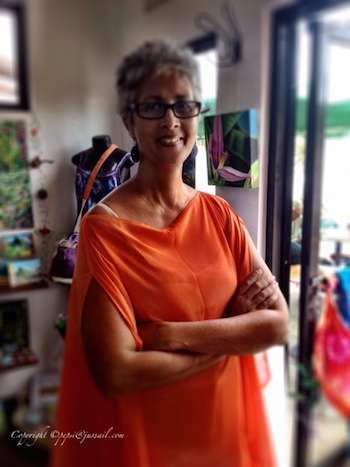 Nadia a jewellery maker who has sold her work far and wide knows how important it is to have an outlet to sell your work and we feel she has created it here at Island mix. 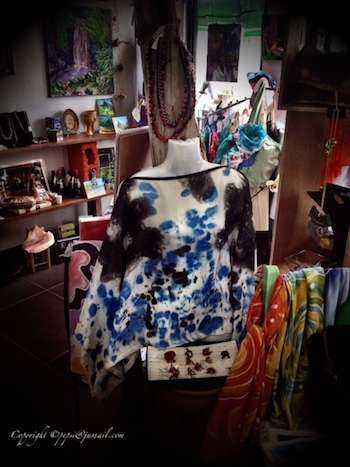 At this cultural gift store there is art for every pocket, from painted shells, printed fashion pieces, handbags, jewellery, canvases that can be wrapped for hand luggage. The staff are friendly and helpful and can give information on the artist and their work. 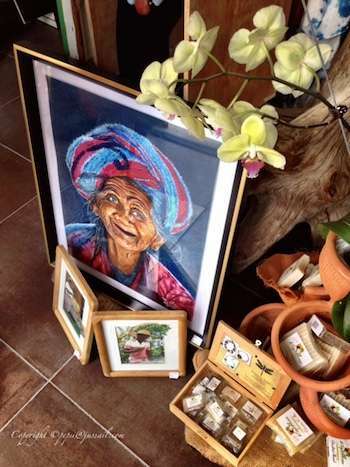 Not only can you pick up some gifts to take home with you, you can also sit have a drink, meet the artist (which is proving to be very popular), get a portrait painted and on Saturdays you can take part in an art and wine class. 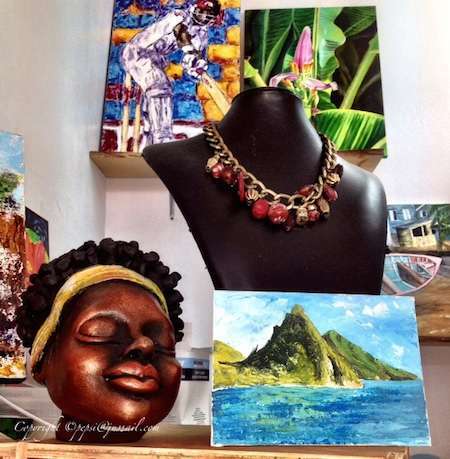 So whenever you visit St Lucia make sure you visit the Island Mix Art Emporium and take home some unique gifts from the artists of the Caribbean.